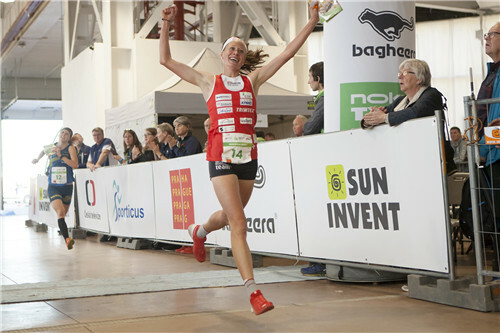 Final Round of Orienteering World Cup started with a Knock-Out Sprint, a discipline which is still looking for an optimal format before the first urban World Orienteering Championships in Denmark in 2020. Knock-Out sprint included 4 race rounds. 12 fastest runners from 3 qualification heats got qualified to 6 quarter-finals with 6 runners each. 3 leading runners from each heat proceeded after the mass start with forked courses to the afternoon semi-finals in Prague Exhibition Grounds. Result times of particular heats did not matter, there were no lucky loosers as someone expected. 3 heats with 6 runners in each in the semi-finals gave us names of 6 best runners who competed in the final race. 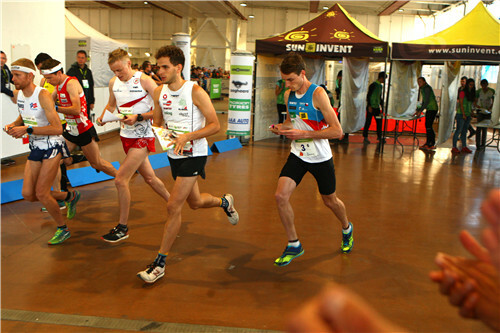 Already in the qualification rounds, which were set in the eastern part of Stromovka park, were disqualified some resounding orienteering names – Natalia Gemperle, Olav Lundanes, Vincent Coupat, Aleksi Niemi or Emil Svensk. Quarter- and semi-finals were interesting for the “self-choice forking” - runners could choose one of three alternative courses A-C 20 seconds before the mass start. 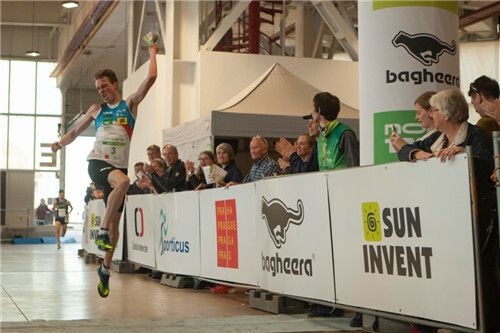 Courses were not equal, therefore some runner’s fate was sealed yet before the start – choosing a wrong option meant few meters extra and that was in 6-8 minute races decisive. This is the reason why for example Tim Robertson, winner of one qualification heat, was knocked out already in the quarter-final and Matthias Kyburz in the semi-final. 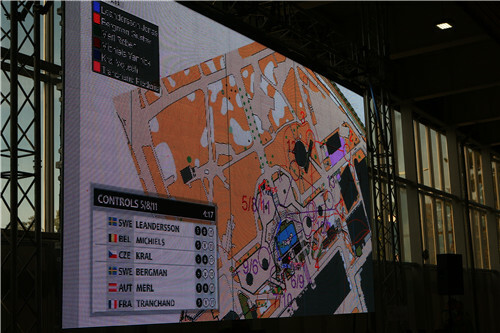 Tove Alexandersson, Andrine Benjaminsen, Sabine Hauswirth, Irina Nyberg, Karolin Ohlsson and Judith Wyder started from the exhibition hall to the final round with a butterfly forking, map exchange and arena passage. 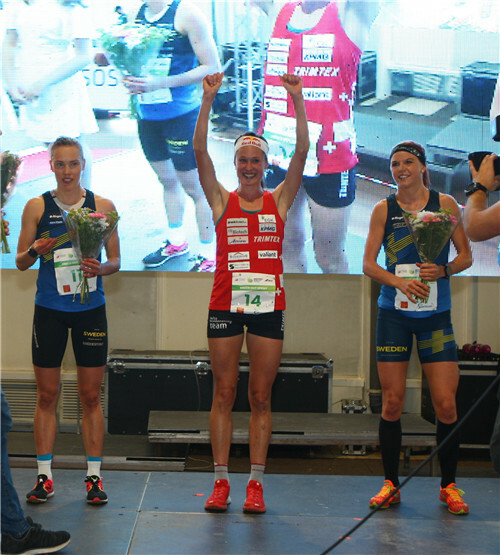 It was Swiss Judith Wyder who crossed a finishing line first, followed by Swedes Karolin Ohlsson and Tove Alexandersson, who was definitely biggest favourite before the race but a bad routechoice to the third control played for Wyder and Ohlsson. And without any crash between Alexandersson and Benjaminsen, the fight for the bronze medal could be even more tight. 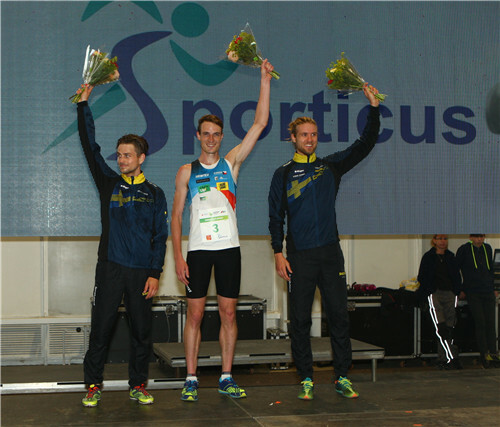 Six best runners in the men’s race were Gustav Bergman, Vojtěch Král, Jonas Leandersson, Robert Merl, Yannick Michiels and Frederic Tranchand. 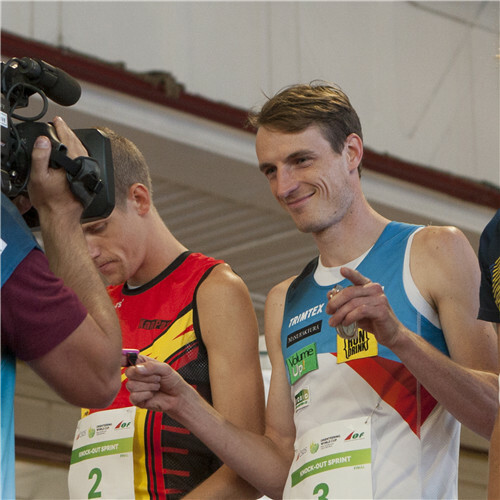 Vojtěch Král pleased Czech fans and without hesitating won a gold medal, Silver and bronze goes to the Swedes Jonas Leandersson and Gustav Bergman one second ahead of Frederic Tranchand. First six medals are given away - four medals go to Sweden, one to Switzerland and one to Czech Republic. Will the Swedish dominance last? Wait for it, game continues today with a sprint relay!